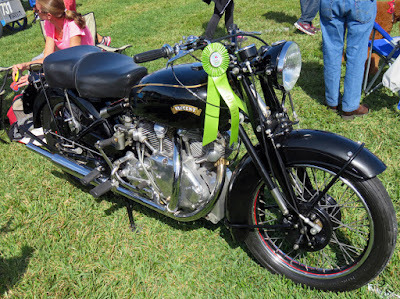 Few things in life impress as much as a 1950 Vincent Rapide. 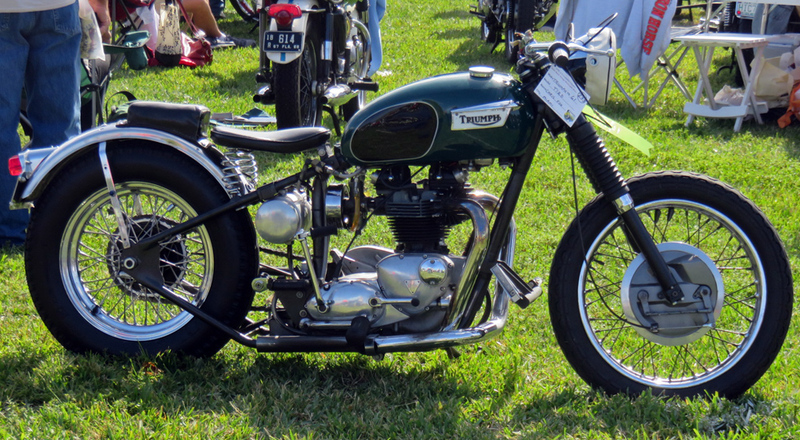 Shown by Steve Ebbs of Boca Raton, Fla.
More photos from the 12th Annual Dania Beach Vintage Motorcycle Show held Saturday, Jan. 27, 2018. Dual front brakes, but only the left-side cable goes all the way to the lever. The left cable lifts a bridge that pulls a separate cable up on each side. 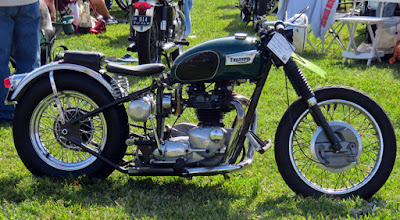 Stripped for action, 1961 Triumph T120 lost its front fender and rear suspension. 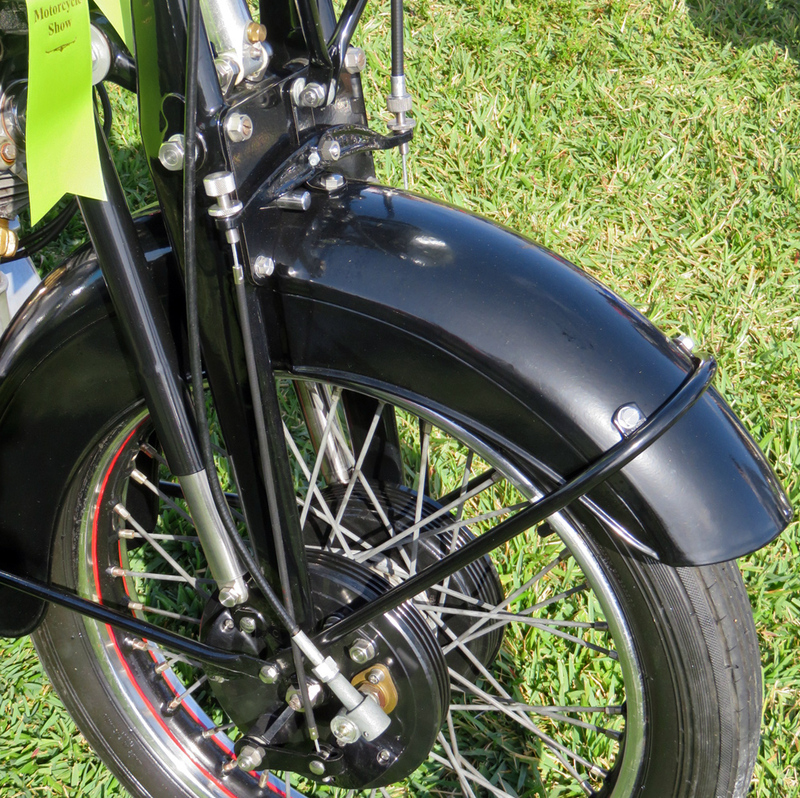 Sprung solo seat is narrow so you can slide back onto the pillion pad. The highway bars are a striking addition. 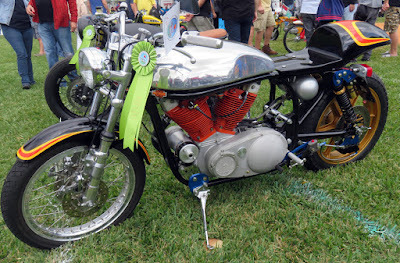 Shown by Chris Fox of Miami, Fla.
Outrageous cafe racer with lovely tank, grips and orange cylinders! could look at all day long. Shown by Robert Sinclair of Ormond Beach. 1922 Gillet Herstal Touriste, made in Belgium. 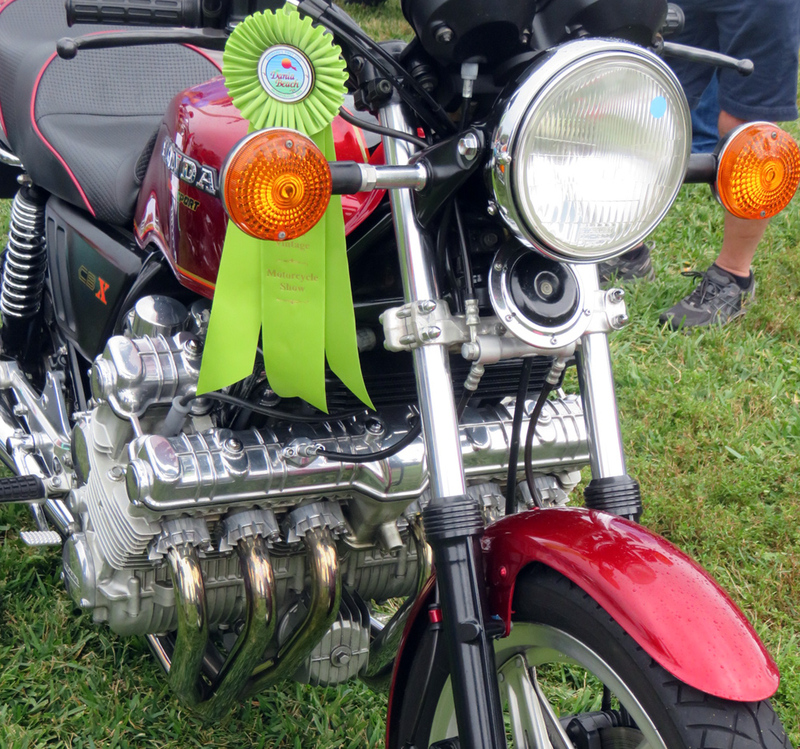 Two-wheel brakes, front suspension, belt drive, gasworks lighting. 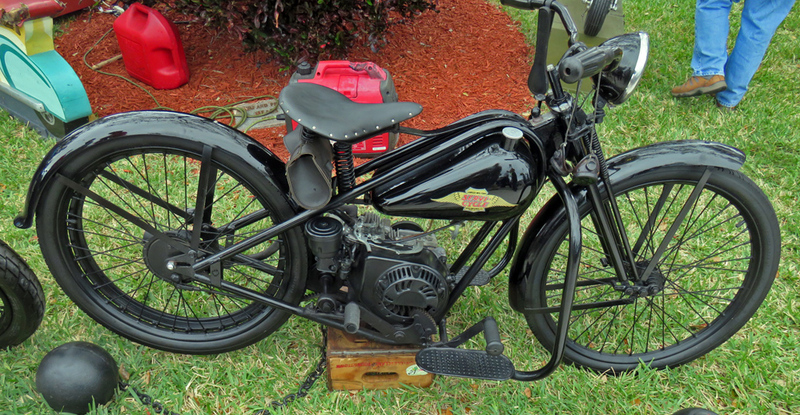 Shown by Noel Pauwels of Davie, Fla.
Six! 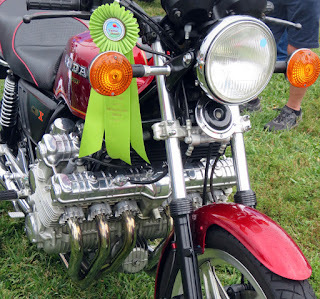 1979 Honda CBX motor actually is no wider than rider's legs. belt drive, centrifugal clutch, but no gearbox. Shown by Schultz Bros. of Lake Worth, Fla. Here is my short video of the Simplex running. It would get you there — eventually. 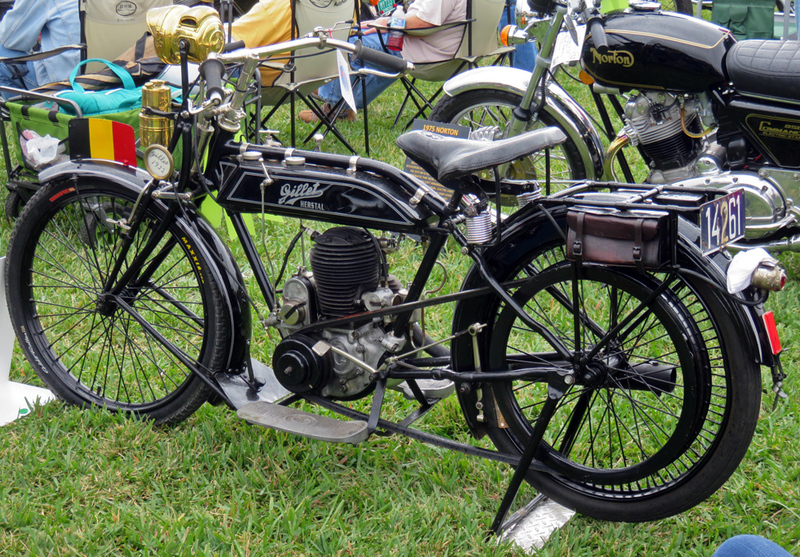 I've seen a few Simplex bikes, but never heard one running. Nice selection of photos, too.